A peaceful and familiar Christmas scene - a beautiful Christmas tree and festive Christmas lights. 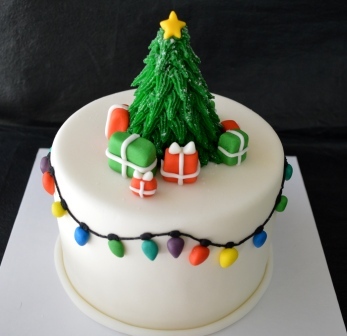 With white fondant icing and all decorations are hand-crafted with buttercream frosting and marshmallow fondant. Please specify vanilla or chocolate cake under the "Special Instructions" section. Please order at least 3 days in advance. 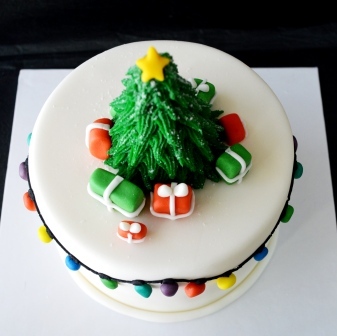 This cake is also available frosted with buttercream frosting (instead of fondant as pictured) for RMB 384.